Welcome to the first Facta Cup of 2019! Title holders Seve, Quiz3000, and Bertie are all back to defend, will you be the one to unseat them? With 20 entrants, qualifying is going to be rather important, as the top 12 qualifiers will receive first round byes. Good luck to all and happy 2019! Qualifying is live! Top 12 qualifiers will earn a rest day, as seeds 13-20 will be duking it out in the first round. Qualifying was quite tricky this time, we will see what the draw looks like shortly (draw numbers set, qualifiers just need to be placed). Reminder: All Rounds (including qualifying) have to stick to a strict 24 hour limit. As usual I can only send 48 hour brainoffs so please play ASAP :). First round matches are live! Thanks to everyone for playing promptly and for JMK for being so quick to send me the scores. Only four first round matches, so if these finish quickly, the next round will be send as soon as possible (in interest of finishing well before the Decathlon starts). Players playing this round will have until about 12:30am GMT Wednesday to finish. Winners will advance to the Gold round of 16, those they defeat will end up in Round Robin group B.
R32 complete. Some tough matches here - Sally only missed two but still lost to Bowler, who was nearly perfect. JMK hit 2000 to defeat Phil and stay alive in the Gold Bracket. Tally and Bertie also qualified for the Gold R16 nicely. Gold Bracket R16 and Round Robin Group B matches now live. Players will have until 12:30am GMT Thursday to play (Roughly 24 hours after this post if you have your Facta Time set differently). Good luck in this round to everybody, I expect to see some more great scoring, and perhaps a few upsets today :). Links in the draw should all work if you'd like to check out the competition :). Seve's title defense is still alive after scraping through a tough one against Bowler. The draw is absolutely stacked in every section. Not an easy draw anywhere here @ Factacular! Round Robin group B is straight razor close. Tally currently is ahead of Phil by about 30 points in the tiebreaker (total points). Two left to play. The seeds held strong (so far) today, though a few of the battles were very close. Lindy beat JMK by a fraction of a second in the closest matchup so far. Will probably send next round a bit earlier if possible. Play deadlines will always be posted in this thread :). Well we have our first upset (seeding-wise) of the day, and it's a big one: 15 seed Bertie took out the number 1 seed Nemesis in a tight match. Well done Bertie - I'll have to be on top of my game in the next round. Quarterfinal matches are going out now! I'm going to give Quiz just a bit more time before I call the last round final. Great matchups in both the Gold and Bronze quarterfinals today. Winner of group B (round robin) will be decided today: it comes down to Philgreek vs Sally906 to win the group. Of course, since we have time, the loser (as well as Helen and Allan) will get their chance at revenge in the knockout phase. Quarterfinal matches (Gold and Bronze) live. Bob47 and Bertie claimed the biggest scalps so far. The bronze draw looks as tough as the gold one this time. Whoever takes home any trophies this time is probably going to have to play pretty flawlessly. This round will need to be played by 5:00am GMT Friday. A little over 24 hours after this post depending on what your facta clock is set to. We have our first winner! Sally906 went a perfect 3-0 in group play to win Group B. Congratulations. This group was very close, and Phil, Helen & Allan will get their chance at revenge in the mini bracket :0). Bob47 continues his fantastic play, taking out defending champ & #2 seed Seve (or rather, sending him to the Silver bracket). The only top 4 seed left in the Gold draw is Vepa1943 - should be a tough matchup between Vepa and Ruby. 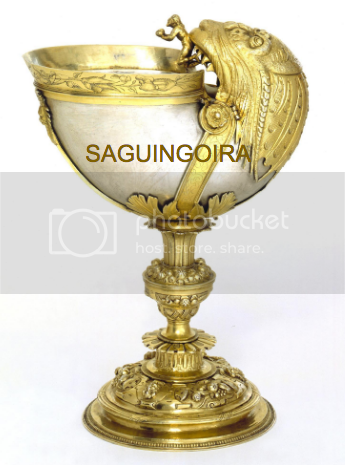 Saguingoira has yet to lose a match since the revival of the facta cup (he sat out the October competition). That is going to be a tough match for me! Sag also the only previous winner left in the Gold bracket. The silver draw is stacked, with upset queen Bertie, and top seeds Lindy and Seve so far. Bronze matches are underway, with Bryn and theGreens sneaking past JMK and Tally. JMK and Tally enter the Group A Round Robin. Just a few left to play today. Have enjoyed all the close matches and good sportsmanship today! The penultimate round is live! We have all sorts of prizes waiting tantalizingly close. Many are within a couple of wins of taking home trophies - who will end up winners this time? Every bracket has tough matchups, I wouldn't want to predict anything (except Sag beating the rather measly score I put up in our semifinal). Thanks for playing quickly. This round will be closed at 10:30pm Friday GMT, so please play before them. I will probably ramble on some more when I get home tonight. In the meantime, good luck everybody! The Gold Final is set! Saguingoira and Ruby Franks will face off for the big trophy. Bob47 gave Ruby a good run for her money, but came up just short. I was pretty routinely swept aside by Sag in the other semifinal. The final will be a rematch of the first edition of the Facta Cup with this format. Will Sag maintain his perfect record or will Ruby get her revenge this time? Lindy is waiting for either Seve or Vepa in the Silver final after taking out upset queen Bertie. Nemesis and theGreens will play for the Bronze championship after seeing off Bryn and Quiz. Quiz never had a brainoff below 2000 points but still came up just short of the bronze final - I think we may just be a pretty bright bunch around here. In the Round Robin, JMK is in charge of group A, going 2-0 in her matches today. Tallyho could be her banana peel tomorrow, and open the door for Shortbreadforme27 or Bowler to steal the group. In the Group B mini-bracket, Sally906 is on a roll having won 4 in a row. Allan R. Matthes will attempt to stop her in the final, after getting past Philgreek. And... All the final matches are live! Links in the draw are all clickable if you'd like to root on your friends or heckle your enemies. The Saguingoira/Ruby rematch is the big one but all the matches on the docket today are interesting. Congratulations are in order! Bob47 beat me in an extremely tough brainoff to take third place overall. Well done Bob for an excellent tournament, you faced 4 higher seeds in a row and only Ruby was able to get past you. Great tournament. In the 7th place battle, Vepa1943 overcame Bertie in another brutal brainoff. Congratulations to them both on a great tournament. 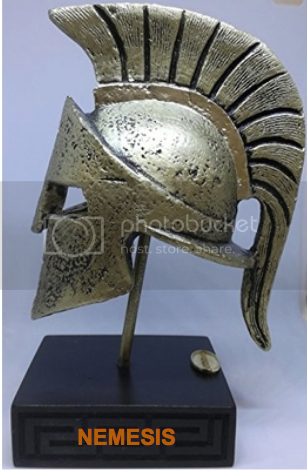 Nemesis has won the bronze trophy (a helmet apparently) with a PERFECT score in the final against thegreens. Congratulations to Nemesis and thegreens for making it through the bronze bracket, which was extremely tough this time. Seve wins the silver bracket! By about a hair over Lindy. It was an excellently fought final, both only missed 2 questions, and it came down to who clicked faster. 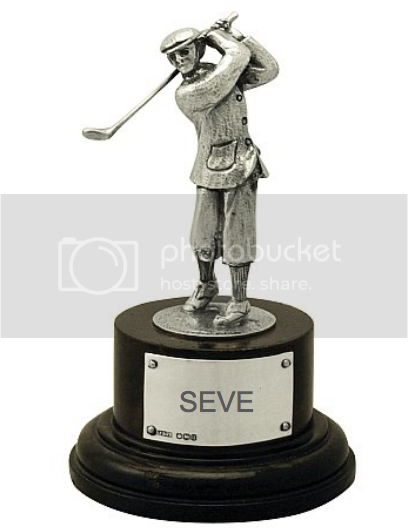 Seve could be the first to complete the boxed set if he wins the bronze tournament next time. As usual the gold finalists have a sense of the dramatic and I can only imagine they will keep us in suspense until the last moment to find out who the Grand Champion is :). We have a Grand Champion! In a rematch of my first Facta Cup Edition final, Saguingoira beat Ruby Franks by less than a question to win his second Grand Championship. Technically, he is still undefeated as he sat out the second Facta Cup. Congrats to both Sag and Ruby for making the final (not an easy task at all here!). Well done Sag for winning again - I'm sure Ruby will be gunning for her revenge the next time these two face off. Win Streak - Sally906 Sally lost her first round match in the Gold Bracket, but did not lose her cool. In fact - she did not lose anything from that point, going a perfect 5-0 in Group B on her way to snatching the Group AND mini bracket titles. Well done sally. Upset King and Queen No brainer here. Bertie and Bob47 wreaked absolute havoc in the draw, sending huge names like Nemesis, Quiz3000, and Seve into the Silver/Bronze brackets. Fearless play from them both! Hard Done By - Quiz3000 and theGreens share this one. Neither thegreens nor Quiz ever missed more than two questions but still ended up in the bronze bracket. Goes to show the level of competition here! Quiz even lost a brainoff he had a perfect score on due to a time violation (mean umpire ;) ). Hilarious Commentary - Has to be Shortbreadforme27. Win or lose, Shorty was cracking me up. It is nice being the one to collect the scores sometimes, you get to see all the comments. And Shorty was certainly winning this category this time. Sportsmanship - Tallyho and Lindy. Singling these two out this time because I particularly remember their gracious comments win or lose, but this one could really go to all of us. I think all of us who play the tournaments keep it fair and friendly and that makes it worthwhile to run these things, so thanks all of you. Where's the award for Tournament Organisers and Facilitators? Congratulations to everyone who took part, as ever many many thanks to the organisers and contributors for making it another enjoyable tournament. Here's to the next one! Big fun! Thanks to everyone who made it happen. Thanks, BB, great tourney. Congrats to all the winners.